Caltrate 600+D3 offers a high level of vitamin D3 to help maximise calcium absorption and support healthy bones, joints and muscles - so you can live life to the fullest. Sufficient calcium & vitamin D as part of a healthy diet may reduce the risk of osteoporosis. 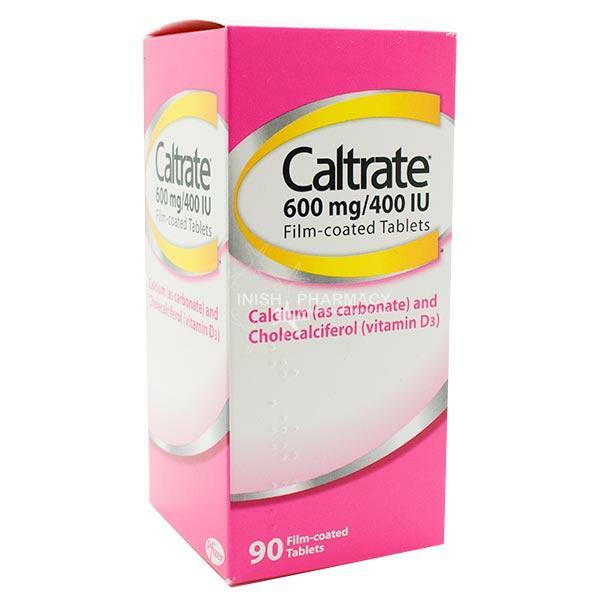 Caltrate contains two active substances calcium and vitamin D3 in a Film-coated Tablet. Calcium is an important constituent of bone and vitamin D3 helps the absorption of calcium by the intestine and its deposition in the bones. It is used: ? In the correction of calcium and vitamin D deficiencies in the elderly, ? Manufacturer: Wyeth Lerderle S.r..l., Via Nettunense 90, 04011 Aprilia (LT), Italy.